Ella Publishing "Take Twelve" Giveaway! – It Works For Bobbi! Ella Publishing "Take Twelve" Giveaway! Published on January 4, 2012 August 9, 2016 by Bobbi-Jo G.
I am so excited to share something amazing with you. It very well might change how you document your life through photos. This is something I only recently discovered and the timing couldn’t be more perfect. Let me introduce Ella Publishing’s 2012 TAKE 12 PROJECT! The goal of the 2012 Take Twelve Project is to take 12 photos on the 12th day of each month for a full 12 months—and scrapbook them! You can join in the fun any month of the year, but we hope you’ll join in starting January 12. Get the scoop at ellapublishing.com/taketwelve. Learn more about the history of the Take Twelve project and see their FAQ section. This kit will take all of the guess work out of participating in this project. It includes over 80 pages of amazing inspiration. What I really love is the MONTH BY MONTH ideas of what to photograph. So easy! There are also pages of bonus project idea material, challenges, and photo tips. This kit is amazing. Oh, and you get printables! LOVE THAT! So fun for making quick work out of your layouts..whether you are a digi girl or a paper scrapper. They really have thought of everything. 1. Mandatory entry – leave a comment here telling me why you need this kit! 3. A Third entry for posting about this entry either on FB, Twitter, or on your blog. 4. A fourth entry for popping by the Ella Publishing Blog and following along with them through one of their many social media outlets. Anyone can enter, and you can enter up to a maximum of four times. The winner will be announced in ONE WEEK (January 11) so you will have time to download your kit and give it a once-over before the 12th arrives. Good luck!! Wow. This would be great for me! I am so behind on scrapbooking. Maybe this would give me the inspiration I need to actually do it! I would love this. I need all the help I can get. This is my year to scrapbook. Would love to do this. Sounds like so much fun. But a little scared about how to do it. Would love the kit. I've never been a scrapbooker, but have always wanted to. This would be great, and also a motivational tool to take the photos! I need inspiration to get my groove back after the death of my sister on 12/1/11. I've tried several things but nothing… I need help! This could be the motivation I need to take more photos, and actually DO something with them!! What a fun way to scrapbook! I am years behind and this would be a fun way to get started again! I need this kit because it's got everything I need to keep scrapping in 2012! Inspiring ideas, shortcuts and printables…how cool is that?!? Thanks for the chance to win Ella's Twelve inspiration kit! I subscribe to Ella's blog via RSS, I follow them on fb and twitter! Thanks for the chance! What a fun thing. I'm anxious to try this. I'm just starting in the digi world. Thanks for sharing. …and I follow Ella Publishing on Facebook (can you tell I really want this:)? 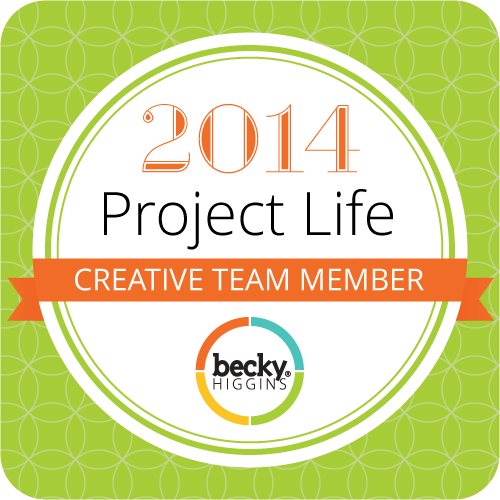 I'm on board for Project 365, and would love to do Take Twelve as well! Awesome giveaway; thank you for the chance to win! Great giveaway. Thank you. I am excited to start this because I think it will be great way to document our daily lives without doing a big PL album. I now follow you 🙂 Thanks for a chance to win. Would love something to kick start me. I have no creativity when it comes to scrapbooking, but sadly I also have no photoshop, which I think you need for this kit? I need this because I need to get back to using my camera and getting pictures into albums! Thanks for the chance to win.